Made with a 50% viscous bamboo/50% cotton. 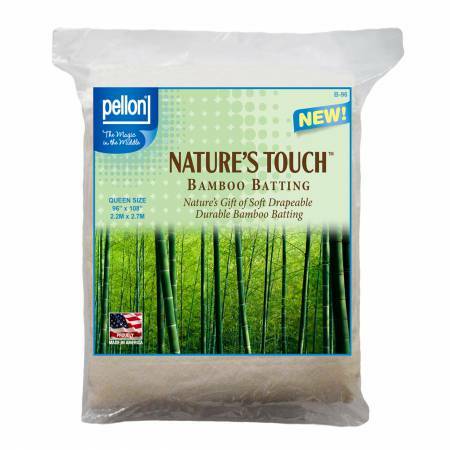 Bamboo blend is softer than cotton and has a natural antibacterial properties. It is breathable and cool by nature. Machine wash cool, tumble dry on low heat. Shrinks 2/3%. Stitch spacing is 8-10". 1/16" loft. Good for both hand and machine quilting.